Songozwi village, on Mount Songozwi, is the Royal Court of the Mphephu Ramabulana Royal House. It is situated about 10 km north of Makhado. 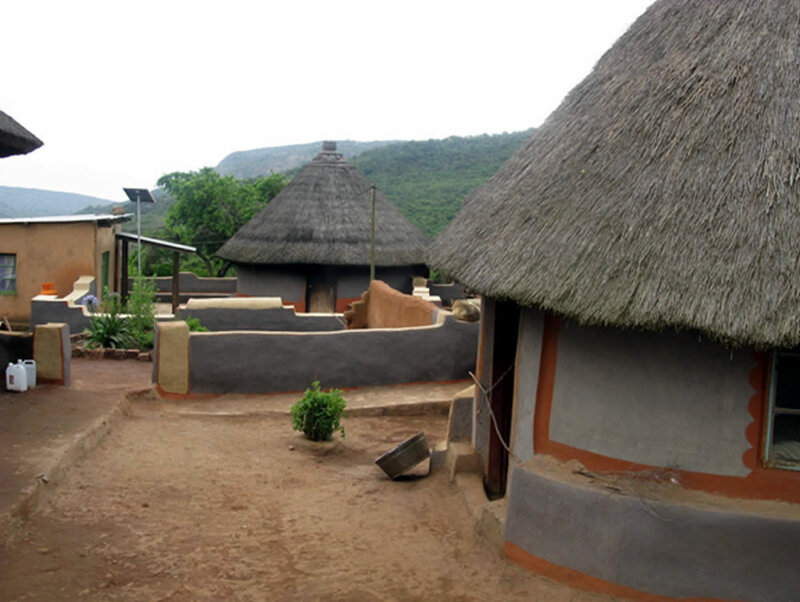 Songozwi was first settled by the Ramabulana house in the mid 1700s during King Thohoyandou’s reign. During Thohoyandou’s reign the Vhavenda kingdom was divided into different chiefdoms ruled by people from the Singo clan appointed by Thohoyandou. King Thohoyandou did this to entrench and consolidate his hegemony over the entire nation. Thohoyandou deployed his son, Munzhedzi Mpofu, to Songozwi, and his brother, Raluswielo, to Dopeni. 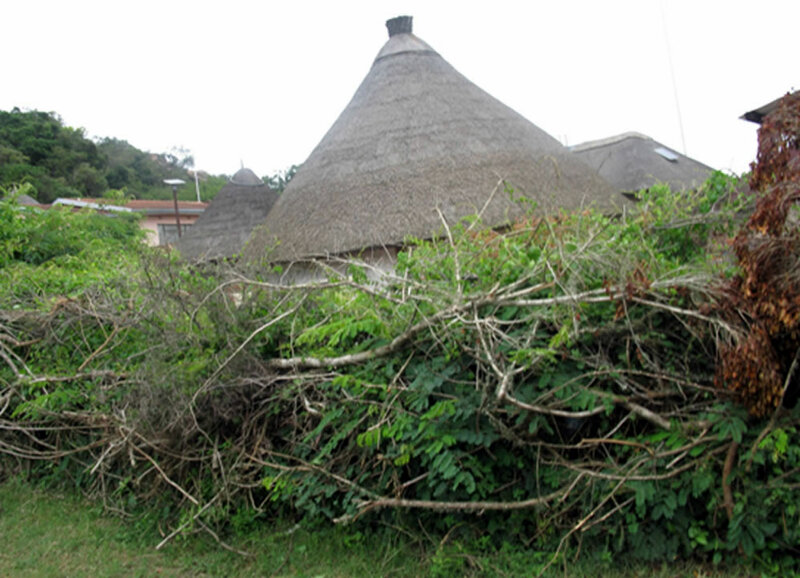 The Singo tradition has it that King Thohoyandou disappeared without a trace in 1770. It was believed that he had gone to Vhukalanga (Zimbabwe), the land of his forefathers. Tshisevhe, Thohoyandou’s brother, was installed as acting king. It was believed that Thohoyandou would come back. It later transpired that Thohoyandou had died. But Tshisevhe refused to step down as acting king, and this led to a conflict between him and Thohoyandou’s son, Munzhedzi Mpofu. Tshisevhe was defeated in the war of succession and was assassinated by Munzhedzi Mpofu. Tshisevhe’s son, Ravhura, fled to Makonde after his father was defeated in the war of succession. Munzhedzi Mpofu became the new king of Venda. But Raluswielo (Tshivhase), who was at Dopeni, wanted the kingship. He attempted to return to Dzata to usurp the throne. Raluswielo, just like Tshisevhe, was defeated by Munzhedzi Mpofu. Munzhedzi Mpofu later relocated the royal capital from Dzata to Luatame on Mount Songozwi. Sheer cliffs fortified Munzhedzi’s royal palace. The cattle post was at Tshirululuni, where Makhado town stands. Luatame offered Munzhedzi the view of all those approaching, including enemies. Luatame and Tshirululuni also provided the royal capital with a home rich with wild fruits, good pasture, large tracts of land for ploughing and a place free of mosquitoes that plagued many Venda areas in summer. Tshivhase once again mobilised an army and invaded Munzhedzi Mpofu at Songozwi. The battle was fought along the banks of a river that became red with blood. It was consequently known as Khwivhila, which means red. Tshivhase lost the battle. Having been defeated twice, first at Dzata and then at Khwivhila, Tshivhase fled. Munzhedzi Mpofu remained king of Vhavenda. King Munzhedzi Mpofu had three sons: Rasithu (Ramabulana), Ramavhoya, and Madzhie. Rasithu and Ramavhoya had the same mother, while Madzhie was their half-brother. King Munzhedzi Mpofu died in 1791. A war of succession ensued between Rasithu and Ramavhoya. Rasithu was defeated in the war of succession and he fled to Moletjie, Botlokwa. The Batlokwa gave Rasithu the name of Ramapulana (he who comes with the rain). The nickname Ramapulana later became Ramabulana. Ramavhoya killed a Batlokwa chief, Mma-Mugudubi. The Batlokwa, who wanted to avenge Mma-Mugudubi’s death, joined forces with Rasithu to oust Ramavhoya. Rasithu managed to oust and kill Ramavhoya with the help of Batlokwa. Rasithu became the King and was given the title of Ramabulana. King Ramabulana ruled until his death in 1864. He was very old when he died, and he had already allowed his eldest son, Davhana, to be in charge. King Ramabulana was the last Vhavenda King to be buried in a cave. He was buried at Vuvha, and the cave where he was laid to rest is up to this day regarded as sacred. It is guarded by the Khosi of Vuvha, Vho-Mulambilu Mphephu..
King Ramabulana was succeeded by his son, the most famous of the Singo Kings, King Makhado Ramabulana. He was also known as Tshilwavhusiku and the Lion of the North. King Makhado died in September 1895. His sons who were eligible for the crown were Alilali Tshilamulela, Maemu Malise, Sinthumule and Kutama. Alilali Tshilamulela, the eldest son, was working at the diamond mines in Kimberley at the time of King Makhado’s death. Sinthumule was in Bulawayo, Zimbabwe. Sinthumule came back and was dismayed that Maemu Malise had taken over at Songozwi. Sinthumule sent messengers to Kimberley to notify Alilali Tshilamulela that King Makhado had passed on and that Maemu Malise was the new king. 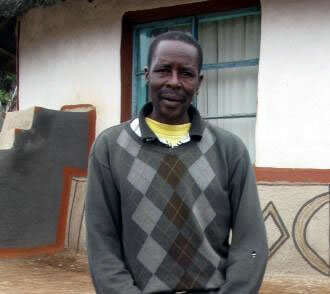 Sinthumule and Alilali Tshilamulela attacked Maemu Malise and removed him from Songozwi. Alilali Tshilamulela became the new king and was given the title of Mphephu. King Mphephu was forced by the Boers, in 1914, to relocate the Ramabulana Royal Palace to the ancient capital of Dzata (Dzanani). This was due to the fact that areas surrounding Songozwi were declared ‘white areas’ and were turned into white-owned farms. Vhavenda who resided at Ha-Mabasha, Magoni, Ha-Makhavhu, Ha-Mulelu, Mudzivhadi, Ha-Mudimeli, Malimuwa, La Ndou, Vhulorwa, Lunoni, Ha-Funyufunyu, Musingadi, Ha-Liswoga, Vhutuwangadzebu, Khavhambe, etc, were forcibly removed and resettled at Ha-Kutama, Ha-Sinthumule, and Nzhelele. The area around Songozwi was renamed Bluegumsport. But some families remained at Songozwi and are still there today. Songozwi has continued to serve as the Royal Court and the burial site of Mphephu kings and chiefs, and Sinthumule and Kutama chiefs. The Ramabulana royal family registered their claim in 1998 on land consisting of eight farms surrounding Songozwi village. In 2004 the Land Claims Commission found the claim to be valid and published it in the Gazette. Ha-Mabasha has been given back to the Ramabulana royal house.